Watford midfielder Tom Cleverley will miss the start of the new Premier League season after Achilles surgery. 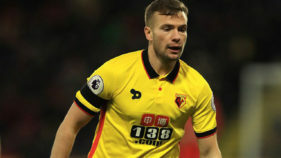 Arsenal's four-game winning run came to a stunning end at Watford as Tom Cleverley's stoppage-time strike sealed a dramatic 2-1 victory over the Gunners on Saturday. 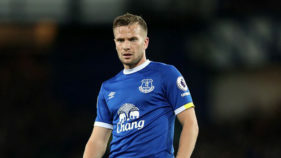 Watford have agreed to sign Everton midfielder Tom Cleverley on a permanent basis once his loan spell at Vicarage Road expires at the end of the season.